Meckel’s diverticulum is a bulge or pouch on the wall in the small intestine that is present at birth. It may contain tissues similar to the tissues of the stomach or pancreas. It is a common congenital deformity of the gastrointestinal tract. It usually develops between 5 to 7 weeks of fetal growth. It is more prevalent in males than in females. It manifests in children by the age of 2. 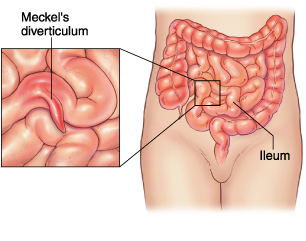 Meckel’s diverticulum is susceptible to causing complications such as hemorrhage, intestinal obstruction, umbilical anomalies, diverticulitis and neoplasm. Meckel’s diverticulum is a congenital abnormality. It is formed due to left over tissue as the digestive tract of the baby was forming before birth. Very few people have Meckel’s diverticulum and fewer display symptoms. A hematocrit blood test helps to determine the red blood cell count and to test for signs of anemia and diet deficiency. This test measures the hemoglobin, a protein in the red blood cells that carries oxygen. This is always done as a part of Complete Blood Count. This is also called a stool guaiac test which looks for hidden blood in the stool sample. This is also called a Meckel scan or a technetium-99m pertechnetate scan. 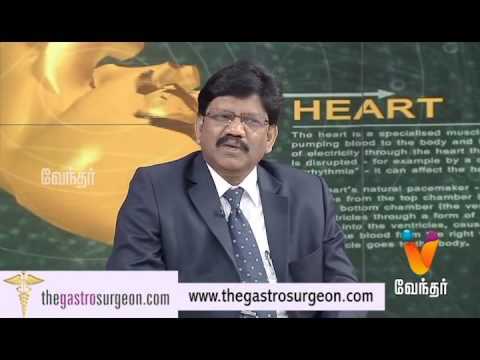 It helps look for gastric mucosa and is considered highly accurate. surgical removal of the Meckel’s diverticulum.